Tired of searching for an airport power outlet on a layover? The Genius Pack Supercharged will charge your gadgets for you. The carry-on bag uses dual USB ports and a battery pack with enough juice to recharge a smartphone four times. 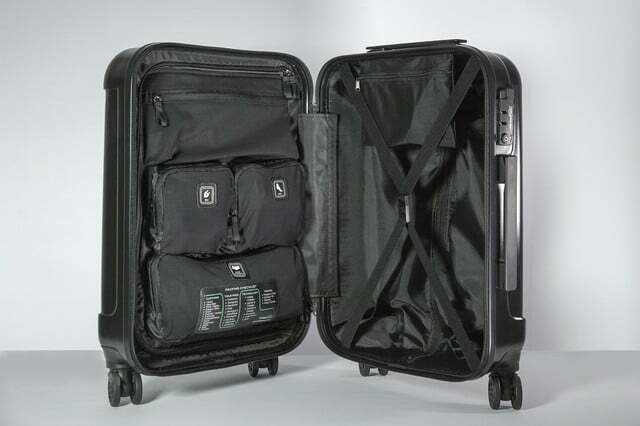 The rolling luggage uses a removable 10,000mAh power pack (lithium-ion batteries cannot be part of checked baggage) and Transportation Security Administration-compliant combination locks. The bag uses a new all-in-one cable that recharges the battery as well as charging smartphones from the same cord. The bag rolls on eight wheels with a 360-degree spin. On the inside, a garment hook allows for accommodating hanging clothes, while the carry-on also includes divided compartments, including a laundry compartment. A packing list is also sewn into the interior. The Supercharged is based on the company’s earlier Aerial Carry On and expanded based on customer feedback. The bag uses a 100 percent polycarbonate exterior shell with an aluminum telescoping handle. Unloaded, the bag weighs 6.8 pounds. Genius Pack, a company founded in 2013 and based in New York, took to Kickstarter to launch the new bag. The campaign raised $467,290 and is expected to start shipping in May. While you can no longer back the crowdfunding campaign, you can still pre-order the Genius Pack for $239 on the Kickstarter page and you’re also able to get $40 off by using the code listed there. 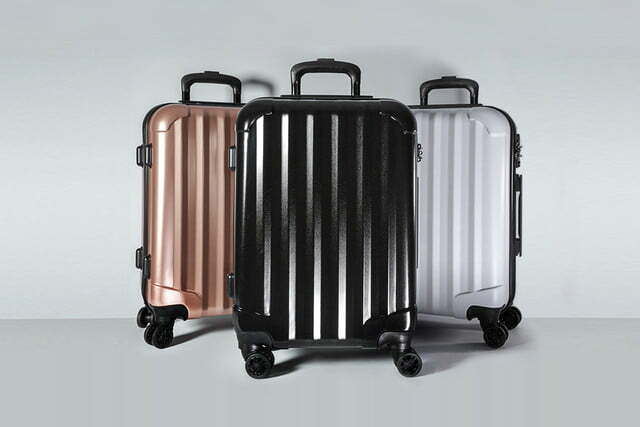 The Genius Pack Supercharged Carry On is available in rose gold, jet black, and matte white.